Serckit is our web platform for catalyzing education communities. When your project partners with SERC, you gain access to Serckit and our team of experts who can help you take full advantage of the platform. 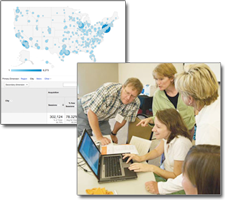 Serckit includes a complete suite of tools for supporting education reform. Project and community websites from 10 pages to 10,000. Cross-project sharing features allow seamless re-purposing of content across sites. 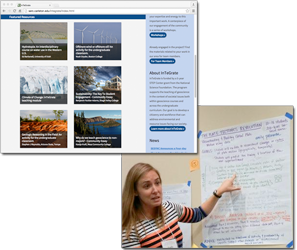 Support for community engagement: email lists to sharing of teaching resources; online discussion boards to community member profile pages. Flexible page designs and easy authoring environments. Ubiquitous taxonomic tools that enable richly searchable and easily managed collections. Advanced information architectures that guide visitors through complex content. Workshop and webinar support tools that cover all the bases: from initial registration to post-workshop evaluation. Support for online materials review processes to build high-reputation public collections or provide structure around curricular sharing. Built-in support for key educational themes: effective pedagogies to next-generation science standards, quantitative skills to systems thinking. Online curriculum publishing from single activities to entire courses. 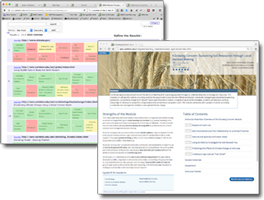 Pre-built templates and forms that reflect best practices: from documenting curriculum to evaluating workshops. Collect, track, and score cross-institution student data, from IRBs to online and paper assessments. Support for instructor-only materials such as assessments, even within sites that are open to the public. Mechanisms to measure views and understand use. 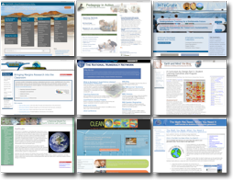 Sites built by one author or thousands, in one place or around the world. Privacy controls designed to support project and community management. Combined reporting/dissemination strategies support management of large distributed projects. Project engagement tracking that integrates with demographic and institutional data to support evaluation. Online form tools that allow for customized collection, management, and export of project data. Integrated working group support: private online workspaces, document sharing, email lists, discussion forums. Used successfully by more than 100 education projects. Home to more than 31,000 pages of original community content. Used to support more than 250 workshops and webinars. Has engaged participants at more than 1,000 higher education institutions. Reflects direct contributions from more than 13,000 people in the education community. More than 4 million visitors a year. A robust cloud-based platform in operation for over a decade with 99.99% reliability.